World governments should start preparing a synchronized way to an ultimate meeting with extraterrestrial life, says an impressive group of scientists in the UK. In an edition to the journal Philosophical Transactions of the Royal Society British institution, the scientists note that for the first time in the history of mankind "is a realistic possibility of whether or not we are alone in the Universe." "If it happens that we are not alone ... this fundamentally affects how humanity understands itself, and we need to be prepared for the consequences," say the researchers Martin Dominik and John C. Zarnecki in the introductory text. "The lack of coordination can be avoided by creating an overarching framework in a truly global effort governed by an international politically legitimated." The two researchers say, to that effect, United Nations already has an institutional mechanism that was created in 1959: the Committee on the Peaceful Uses of atmospheric Extra Space (COPUOS, English acronym). They claim that COPUOS member States need to put "supra-Earth affairs" on the agenda to bring it to the General Assembly to establish similar structures that have been created to deal with possible threats of collisions with Earth objects nearby, like asteroids. What would the aliens be like? "If intelligent aliens exist, they will be just like us, and given our all glorious history, this should make us think." Professor Simon Conway Morris, an expert in evolutionary paleobiology at Cambridge University, says that we must prepare for the worst. According to the expert is likely to continue evolving patterns Darwinian strange worlds and therefore extraterrestrial life may have important similarities with life on Earth. Thus, Conway Morris argues, the "aliens" might seem to us even with our worst tendencies. The scientist said that there are two opposing possibilities and that the two should make us tremble with fear: we find "aliens" like us or simply no one else out there. In this special issue of the trade publication of the Royal Society, the researchers suggest that movies and science fiction, "a more scientific basis than others," should not be underestimated as they are ways to "advance knowledge of new frontiers ". More than the invasion of Earth by alien beings, "the most likely scenarios involve detecting microbial organisms and / or extraterrestrial life at a safe distance." These considerations indicate that scientists are taking seriously the possibility of extraterrestrial life soon discover. 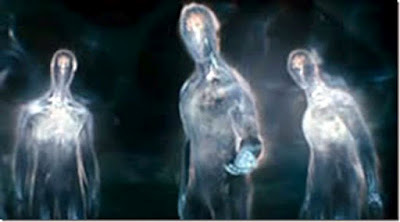 Does the confirmation of the existence extraterrestrial intelligence could mean the collapse of terrestrial religion? A single earthly incarnation of Jesus Christ is sufficient for the whole cosmos? The question makes Ted Peters, professor of systematic theology at the Lutheran Theological Seminary California. According to Peters, checked existence of "aliens", theologians would not lose their job, unlike: the new challenge would reformulate classical religious commitments in light "of the new and wider vision of God's creation ". The traditional theologians would become, well, in astroteologos. Peters says that maybe it's time to prepare for this eventuality. His conclusion is that faith in the major religions of the earth will survive intact.